Who hates college? Nobody, really. But if you squinted your eyes a little when you read the recent Pew poll results, you might be fooled into thinking conservatives had suddenly turned against higher education. Here’s what we know: Since 2010, Pew has surveyed American adults about their feelings toward major institutions. In just the last few years, more and more respondents who identify as Republican or Republican-ish say that higher education is having a negative overall effect on American society. In 2010, only a third of Republicans thought so. Today, it is up to 58%. What’s going on? As always, Pew wisely doesn’t jump to hasty conclusions. My guess is that many of us chatterers will rush to say that conservatives in general are anti-intellectual, or that conservatives think college is a waste of time. Or, given the sudden shift in numbers, maybe that conservatives are dismayed by the snowflake protests that seem to be sweeping American campuses. Maybe, but I think there’s more to it. First of all, obviously, we can’t equate “conservative” with “Republican.” True enough, these days most conservatives’ votes have been captured by the GOP. Not all, though. And certainly not all Republicans are conservatives. I think there’s also something more important going on. As SAGLRROILYBYGTH are sick of hearing, I’ve been up to my eyeballs for the past few years in research about American higher education. The group of conservative dissenting college founders I’m studying was often accused of being anti-intellectual and anti-college. They were neither. As I’m arguing in my upcoming book, Protestant fundamentalists cared a lot about ideas and about college. They loved college. But if you only listened to their rhetoric, it would be easy to assume too quickly that they were somehow opposed to higher education. My soul is a starving skeleton; my heart a petrified rock; my mind is poisoned and fickle as the wind, and my faith is as unstable as water. . . . I wish that I had never seen a college. I hope you will warn the young men of the impending danger just ahead of them. For fundamentalists in the 1920s, college was a terrible spiritual danger. But that didn’t mean they were against college. Rather, they were fervently against college done wrong. They were against the trends that they correctly perceived to be driving mainstream trends in higher ed. What did they do? They didn’t stop sending their kids to college. Rather, they founded their own institutions, reliably fundamentalist colleges such as Bob Jones College (now Bob Jones University) and Bryan University (now Bryan College). They also flocked to existing reliably fundamentalist institutions such as Wheaton College and the Moody Bible Institute. My hunch is that today’s Pew respondents are similar. When they tell pollsters they don’t trust college or “the media,” it doesn’t mean they don’t like higher education or newspapers. Rather, it means they don’t trust the smarmy elites that they think run such institutions. Here’s what I wish I could do: Have the Pewsters add some follow-up questions. When people say they don’t trust colleges, ask them if they want their kids to go to college anyway. And then ask them what would restore their trust in higher education. Here’s what I think people would say: Even if they don’t trust college, they want their children to attend. But they would prefer to find a school that reflected their own values, instead of the radical leftism that many people think dominates colleges today. Who will conservative evangelicals vote for? Over the past forty years, it has become a common assumption that the “Religious Right” can make or break a presidential campaign. Among some evangelical pollsters and opinion-makers, a new “ABT” attitude—anyone but Trump—seems to be emerging. and I would use what little influence I have to stop him from being elected president. If that means that Hillary Clinton or another Democrat gets elected by default, I am fine with that. We should also count the cost of following Donald Trump. To do so would mean that we’ve decided to join the other side of the culture war, that image and celebrity and money and power and social Darwinist “winning” trump the conservation of moral principles and a just society. At evangelical WORLD Magazine, J.C. Derrick recently defended his survey of evangelical attitudes. The WORLD poll, Derrick explained, does not sample randomly from the population. It picks 103 people who have substantial claim to the label “evangelical insiders.” Who do THEY think should be president? WORLD’s evangelical insiders disagreed. These days, they prefer Marco Rubio. Most telling, more than a third of respondents said they would either vote Democrat or stay away from the polls if Trump were the GOP candidate. With primaries and caucuses just around the corner, I wonder if this sort of evangelical ABT will catch on among conservatives. Governor Scott Walker dropped fast. According to the conservative Weekly Standard, Walker led the field of GOP presidential hopefuls in April, dropped to second in August, then plummeted to last place in no time flat. Why? Perhaps his campaign collapse proves that conservative voters do not hate the devils of public education as much as Walker (and I) thought. Walker had built his national reputation on a consistent diet of education-bashing. He famously attacked teachers’ unions. More than that, though, he blasted lazy university professors. Perhaps most uniquely, he himself had never completed college, having dropped out to pursue more worthwhile goals. Make no mistake. As a voter and a teacher and a lazy college professor, I’m glad to see Walker crumble. But as an historian, I’m surprised. Whatever his faults, I thought Walker had shown some savvy in following a conservative script with nearly a century of success behind it. SAGLRROILYBYGTH know the story, but for new folks, here’s a quick history lesson: When Governor Reagan was elected president, his first decorating move was to put a large portrait of Calvin Coolidge in the Oval Office. Reagan, after all, modeled himself after Coolidge’s brand of small-government conservatism. Coolidge had come to national prominence for his stern opposition to a police strike in Boston. Reagan, too, made his bones by combatting an air-traffic controllers’ strike. I thought Walker could win by using the Coolidge playbook. I thought his union-bashing policies were terrible, but I thought they would win. We were both wrong. Walker went from conservative hero to zero practically overnight. Why? There might be education-related reasons other commentators have missed. Maybe GOP voters really don’t hate public-school teachers as much as people think they do. Maybe GOP voters expect their candidate to have a college degree. Could it even be—perish the thought—that voters don’t hate university professors as much as Governor Walker thought they did? Conservative pundits offer different reasons. Jonathan Last at the conservative Weekly Standard found Walker’s collapse “shocking.” Unlike other meltdowns, Walker’s campaign had suffered no embarrassing gaffes or scandals. Walker had real credentials, so his early front-runner standard was not a fluke. Last concluded that Walker’s loss was likely due to the weirdly broad field of candidates this year and to Donald Trump’s “disruption” of the nominating process. A lot of Republican voters work for a living, and a substantial number of them are union members. While grassroots conservatives have been instructed by corporate America’s amen corner in the media to be angry with unions and living wages and teachers and public employees, they have never been so enthusiastic in that anger as the billionaires who seek to build their empires on a foundation of income inequality and wage stagnation. So Walker’s core message—union busting—never really resonated to the extent that the governor and his strategists imagined it would. But don’t forget that Walker’s union-busting was only one leg of a broader strategy based in educational culture-war thinking. He loudly and proudly fought against teachers’ unions, certainly, but also aggressively went after lazy college professors. Even his own story of dropping out of college to do something more important shows a long-term dedication to bucking the educational status-quo. I admit it. I thought Governor Walker had hit upon a winning program, even if it was a program I didn’t like. In my last book, I argued that Walker’s brand of educational conservatism had proven politically unbeatable time and again. Throughout the twentieth century, it became a winning strategy among conservatives to bash teachers in no uncertain terms. I thought it would still work, especially in the howling scramble of this year’s GOP presidential contest. But maybe I got it as wrong as Governor Walker did. Maybe that time has passed. US News & World Report calls him the “evangelical darling.” By some counts, he is the second-most-popular candidate in the GOP scrum. But for anyone familiar with the history of evangelical Protestants in the USA, it can be shocking that a Seventh-day Adventist such as Ben Carson can be so popular among conservative voters. It wasn’t so long ago, after all, that conservative evangelicals considered Seventh-day Adventism to be trick of Satan, a cult to lure unwary believers. For those unfamiliar with the denomination, SDA had its origins in the “Great Disappointment.” In the mid-1800s, William Miller predicted the imminent return of Christ. Some true believers sold everything to prepare for the end of the world. When October 22, 1844 came and went, some folks reasonably concluded that Miller had been wrong. But not everybody. One splinter group, guided by Prophet Ellen G. White, explained that Christ had come and gone, but it had been a spiritual event, invisible to the mundane eye. White experienced visions of God and angels, creation and the end of time. Her followers coalesced into the Seventh-day Adventist Church. Unlike other Christian groups, SDA members had reason to believe that creation had been a literal six-day event. They had reason to believe that it had taken place within the past 10,000 years. After all, White had been shown it all. This is the church from which Dr. Carson comes. Unlike some presidential contenders in the past, he has made no noise about separating himself from the teachings of his church. Quite the contrary. He has publicly and repeatedly embraced them. What remains shocking for those who know their SDA history is that Dr. Carson has been publicly and repeatedly embraced by evangelical Protestants. It was not so very long ago, after all, that evangelical intellectuals blasted SDA beliefs in the harshest terms. It is Satan’s stroke against the throne and the heart of God. Strange, isn’t it, that a whole body of religionists should decry Spiritism as of the devil, and yet accept a whole system of Biblical interpretation received by one [Ellen G. White] in a state of non-self control? If I were an SDA neurosurgeon, I might feel a little trepidation at accepting the friendship of such recent enemies. I might not feel excited to be welcomed by people who had so recently accused my religion of such terrible crimes. Now, I’m not as dumb as I look. I am aware that these warnings are all from a long time ago. I am aware that our last round of elections brought a leader of the Latter-day Saints Church (the Mormons) to staunchly fundamentalist Liberty University to speak. But I am also aware that schools such as the Moody Bible Institute in Chicago STILL sell charts warning true believers of the dangers of “cults” such as Mormonism and Seventh-day Adventism. The point, however, is not that evangelicals should or should not embrace Dr. Carson. Rather, the point for all of us is that evangelical belief is always changing. For progressive secular folks (like me), we need always to remember that evangelicalism is not somehow a product of a past America. Evangelical Protestants are not trapped in time, either from the Victorian 1870s or the Leave-It-to-Beaver 1950s. And conservative evangelicals need always to remember that their religion is changing, no matter what they might hear. It can be tricky in evangelical circles to talk about religious change, since so much of evangelicalism is based on remaining true to God’s Unchanging Word. Smart evangelicals, however, will be the first to tell you that human interpretation of God’s Word is always changing, and always riddled with errors. Will evangelical voters vote for a member of a Satanic Cult? Time will tell, but it seems most evangelicals have put that past behind them. What does it mean to be conservative about education? What ed policy will get voters excited? Today at 8:50 (Eastern Time, USA), you can watch live as a handful of Republican presidential candidates talk education. The discussion will be hosted by The Seventy-Four. It will include Jeb Bush, Chris Christie, Carly Fiorina, Bobby Jindal, John Kasich, and Scott Walker. Who is the conservative choice? As Carolyn Phenicie points out, these six candidates have very different interpretations of good ed policy. 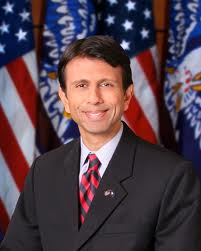 Jeb Bush supports the Common Core standards; Bobby Jindal has sued the federal government over them. There are some common themes that unite them. All of the candidates, for example, support greater privatization of public schooling. All of them would like to water down the power of teachers’ unions. 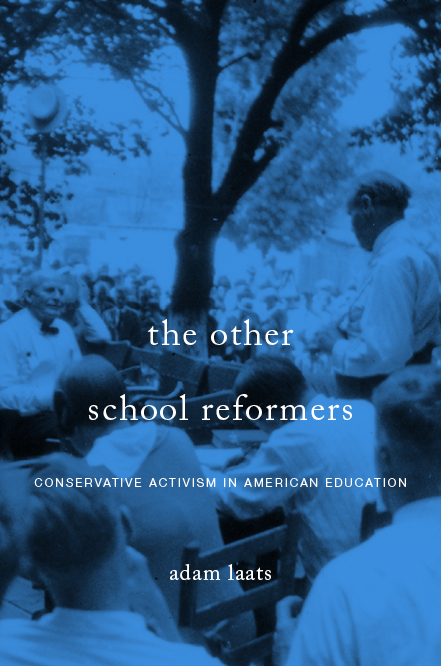 In the early twentieth century, for example, most self-styled conservatives had absolutely no problem with an increased federal role in education. Back then, conservatives hoped the federal government could use its influence to make public schools more traditional, more Protestant. What points will this year’s candidates make? They will likely emphasize their loathing for federal dictation of local school policy. They will likely point to their credentials as education leaders. Yet none of them will be likely to argue that as president they will not implement any education policy. None of them will make the point that federal officials should not have education policies. As it has been for the last fifty years, conservative politicians these days are in the tricky position of insisting on a leadership position in education, even though they also insist that education should be in the hands of state and local officials. Didja hear that? It is the sound of ILYBYGTH being enjoyed by the readers of Time Magazine! Thanks to the reach of History News Network, my recent HNN commentary has been picked up by Time. More proof that Americans want to hear the F-Word more often! What are the education words conservatives can’t say without spitting and gnashing their teeth? History News Network has been kind enough to include an essay of mine about the presidential politics of education among conservatives. Among the leading presidential candidates in the Republican Party, only Jeb Bush will admit that he likes the Common Core. And even he denies ferociously that he supports more federal “overreach” in local schools. Why do conservatives so loathe the federal government’s role in education? It wasn’t always this way, as I argue in the HNN article. And there are some signs that thoughtful conservatives are returning to their roots as the party of centralized power. …and they’re off! Senator Ted Cruz of Texas plans to announce his formal candidacy for president today, according to the Houston Chronicle. And he’s making the announcement at Liberty University. Why Liberty? As the Sophisticated and Good-Looking Regular Readers of ILYBYGTH (SAGLRROILYBYGTH) are well aware, I’m working on a history of fundamentalist higher education. These schools–places like Liberty, along with more liberal cousins such as Wheaton College and Biola University, and more conservative ones such as Bob Jones University—are central institutions of American conservatism. Not only do they represent conservative evangelical belief, but also a vaguer (and politically powerful) sense of cultural traditionalism. The campuses of Wheaton, Liberty, and Bob Jones are not just in-your-face religious environments, but also places where you wouldn’t see until recently a man with long hair or a woman with a short skirt. Not only that, but college campuses also represent cutting-edge learning. Fundamentalist and evangelical colleges are not only religious, not only conservative, but also forward-looking places. By hosting scholarship and teaching, evangelical schools represent the future. For all these reasons, at least since Reagan, GOP candidates have made it a point to campaign at these campuses. As CNN noted this morning, everyone from Romney to McCain, Rick Perry to Michele Bachmann has put in an appearance. It makes sense. And it leads us to an interesting question: If you planned to run for president, where would YOU make your announcement? I have an idea of what I’d do.